Please note: the 4th game screen (the pies/conveyor belt screen) screenshot will be forthcoming. 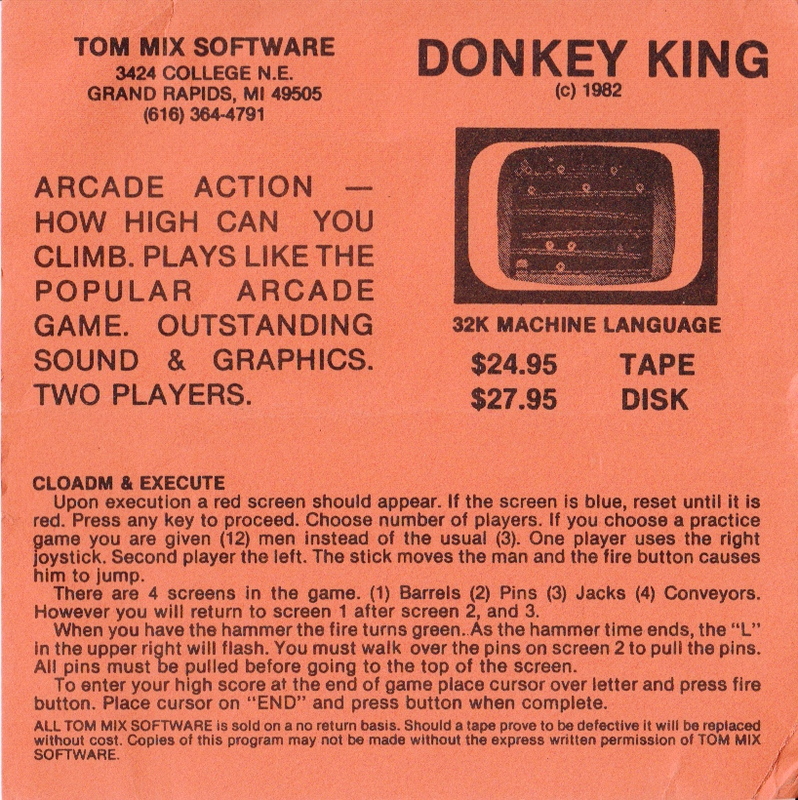 Donkey King is one of the most famous games the Coco 1/2 ever had. It was the first game that actually put all other clones, on all other home computers (or home game systems) to shame... and it wasn't even a licensed arcade version! All 4 screens from the original arcade hit Donkey Kong, most of the multi-voice music, and most of the intermissions were included. The best port of this game (prior to the Coco) was probably the Colecovision, but this one was better.